Gunki BC 200 THG Bait Casting Reel really is the pick of our GUNKI range of baitcasting reels. In extensive field testing this reel was simply stunning in terms of performance. Developed to cover a wide range of fishing styles targeting pike, zander, perch and asp. A 7.3/1 gear ratio makes active linear fishing with lipless crankbaits, spinnerbaits, buzzbaits and soft lures a joy. The gearing is ultra-precise and can be finely tuned to suit any style of fishing. 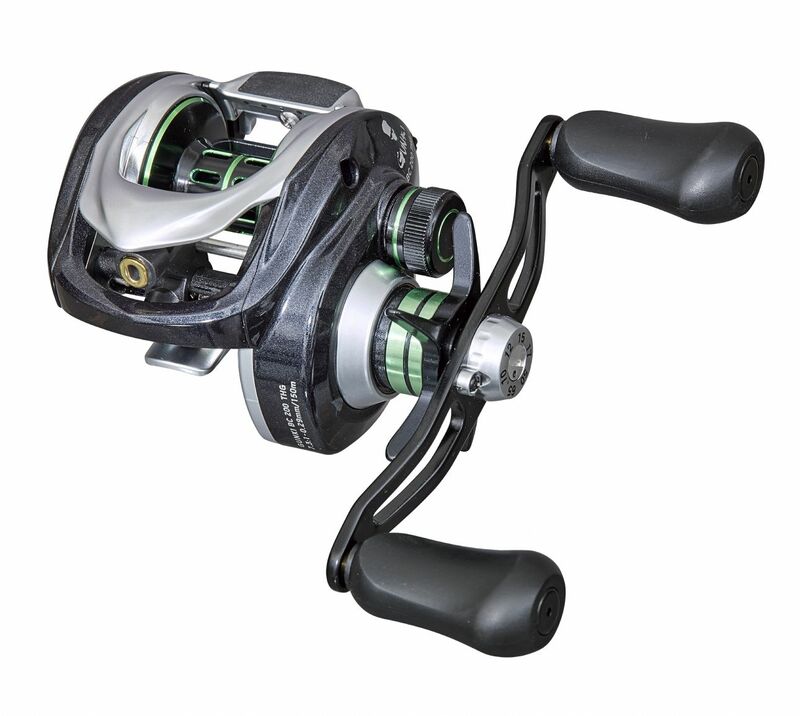 The reel runs smooth thanks to high quality reel oil and premium bearings. The line lay system is top quality laying your line cleanly across the full width of the spool with the powerful gearing coming into its own when playing large fish a perfect complement for Gunki IRON-T Chooten Range of Bait Casting rods. Everytime you cast with the Gunki BC 200 THG the line releases freely with a minimum of friction gaining both distance and accuracy on each cast is all made easy with the dual control centrifugal magnetic casting drag (zero frictions). The Carbon composite flanks and shard wearing body is made from single piece aluminium and the 10kg multidisc drag and high retrieve ratio fitted with carbon washers is both strong and secure resisting that traction of big lures and coping with the hardest fighting fish is all made easy with the with a ‘Sure Grip’ EVA handle. Gunki BC 200 THG Reel is simply designed for the discerning specimen hunters out there. New for 2019....This top of the range reel is in stock Now!! !